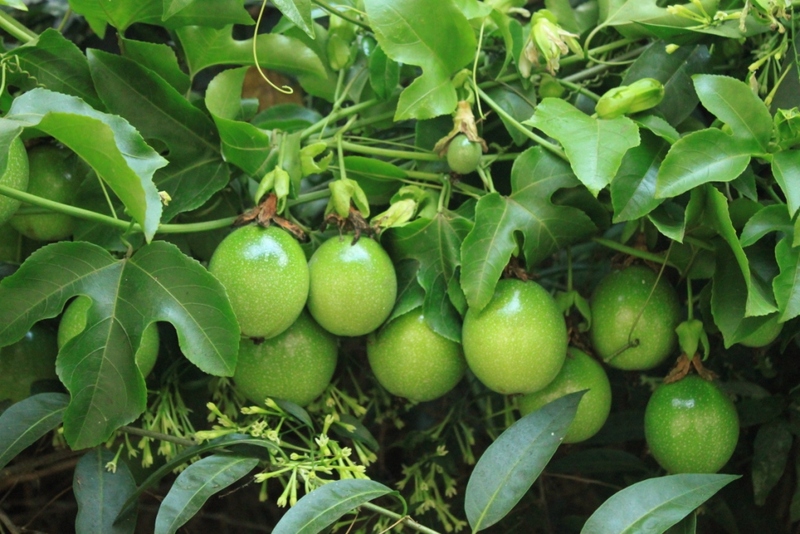 The Passion fruit is a sub-tropical, shallow rooted perennial climber that grows up to 15 to 20 ft tall. 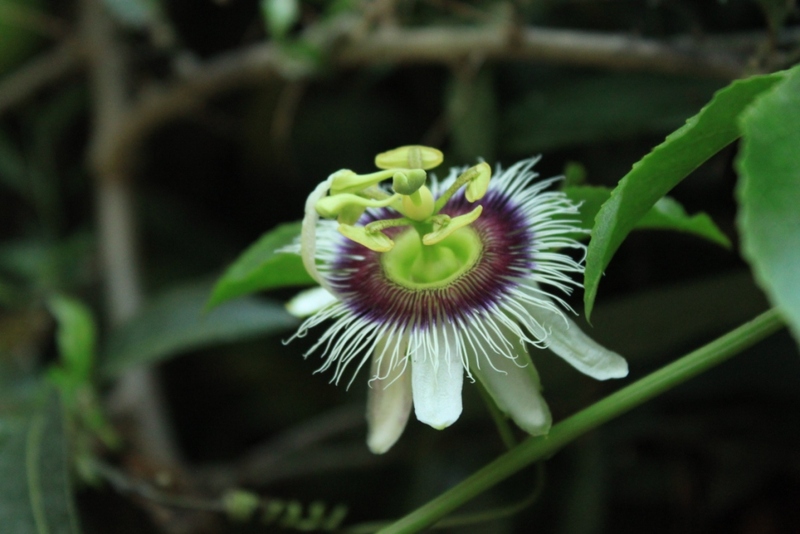 It flowers with a flamboyant fragrant blossom, 2 – 3 inches wide which is greenish white on the top and a rich purple color at the base. The fruit is a 2- 3 inch long oval with a rigid, egg-like shell. The cavity filled with an aromatic mass of pulpy orange juice. The fruit quickly matures from green to yellow within a few days. In India, it is used widely in making juices, fruit salad, jam and jelly and also eaten raw with a mixture of chili powder and salt. You’re welcome Bleneraida. Stop by again soon.